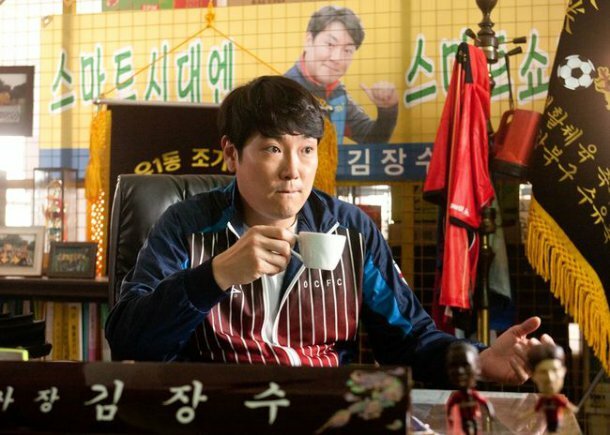 Actor Cho Jin-woong put down his charisma and transformed into a more friendly version. He's starring in the movie "Salut D'Amour", produced by Kang Je-gyu. "Salut D'Amour" is a story more nerve-wrecking than a first date about Seong-chil (Park Geun-hyung), a 70 year-old first-time romancer and Geum-nim (Youn Yuh-jung) who has Seong-chil heads over heels for her. Cho Jin-woong takes on the role of Jang-soo, the leader of a cheer squad that supports their romance. Cho Jin-woong, a known charismatic actor for his past hits, becomes a friendly and round neighborhood guy, something that he's never done before. Producer Kang Je-gyu says, "I've always wanted to work with Cho Jin-woong. I think he is very sincere when it comes to work and he's expressed his character better than anyone else I can think of". "Salut D'Amour" is being released this April. ""Salut D'Amour" Cho Jin-woong, no more charisma"